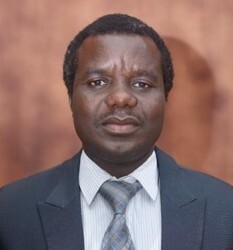 The Faculty started in June, 2017 with Prof. Michael Simidele ODIMAYO as the pioneer Dean and other competent, scholarly, proficient, team-spirited and result-oriented Academic as well as Non-academic (Laboratory and Administrative) staff as members. The Faculty is also well equipped with a teaching and research laboratories sufficient for the training of Medical Students. FBCS has developed its curriculum in line with other Medical Schools in Nigeria, our Teaching Laboratories are well equipped and are in functional state with constant water and electricity supplies. We have state-of-the-art audiovisuals in a serene academic environment. Our faculty library is well equipped, the lecture rooms are quite comfortable and has audiovisuals installed. We have good and comfortable offices enhance dedication of our staff to teaching, research and administrative activities capable of converting the potentials of this university to reality for the benefit of all. · To offer excellent training of Medical and other health professionals in order to achieve services for all forms of disease, disabilities and deformities that are prevalent in Nigeria, Africa and other parts of the globe. · To promote research and creative work for transformation of the health of Nigerians and the world at large.